Back Bay's Four Seasons Hotel and Private Residences One Dalton Street, known as One Dalton, held its official topping off ceremony on August 7th. At 61-stories and 742 feet tall, One Dalton is Boston's tallest residential building and the third tallest building overall, behind the 790-foot tower at 200 Clarendon St. formerly known as the John Hancock Tower, and the 749-foot Prudential Tower. 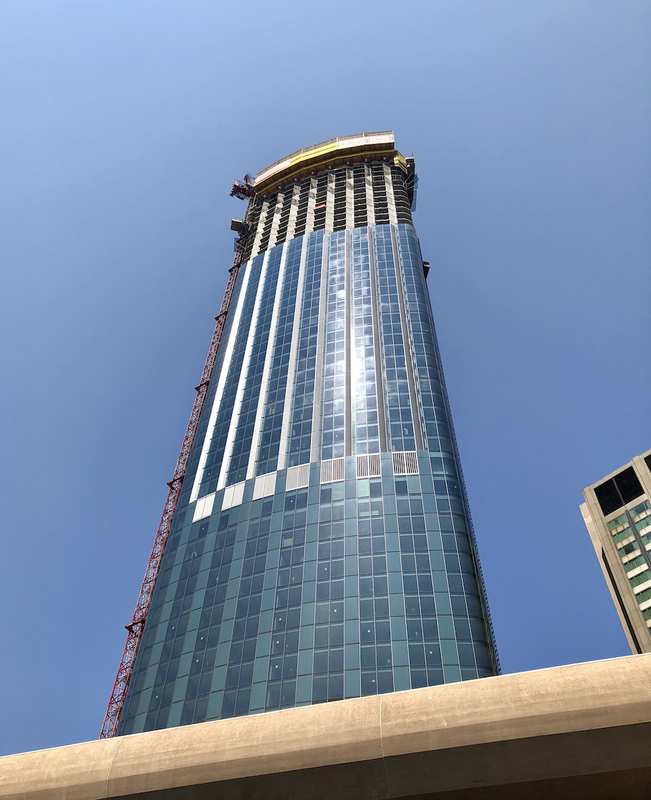 The tower will include 215 Four Seasons hotel rooms and 160 luxury condominiums offering the finest residential amenities available throughout the city. Cambridge-based Carpenter & Co. is developing One Dalton, which was designed by Pei Cobb Freed & Partners and Cambridge Seven Associates. The tower is being built by Suffolk. Boston Mayor Martin J. Walsh, Suffolk CEO John Fish, Carpenter & Co. CEO Richard Friedman and members of the Campion and Company sales team were in attendance at the topping-off event, along with several hundred construction workers celebrating the building that has forever changed Boston's skyline. Chronicle visits ultimate luxury homes in its newest real estate feature. 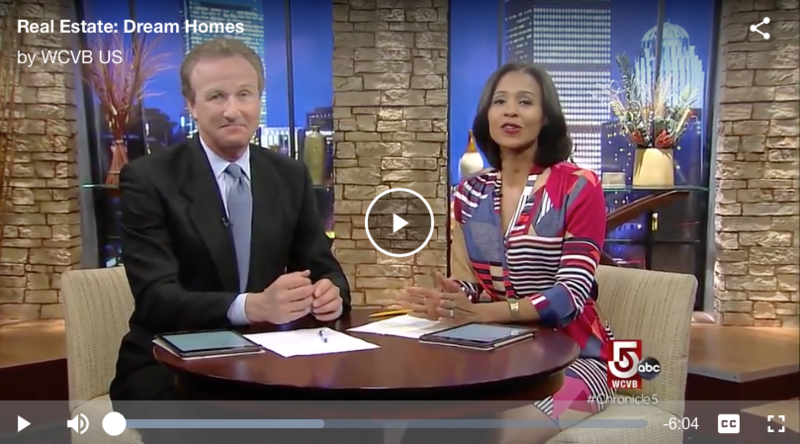 Watch the episode to hear from Tracy Campion and learn about Residence Four at 25 Beacon, exclusively marketed by Campion and Company. The city's top condominium sales are spread throughout five neighborhoods and represent a mix of boutique and full-service homes. All properties except Penthouse 2A at the Ritz Carlton and Unit 4 at 301 Berkeley Street are either brand new construction, or were recently built within the last few years. *Indicates sales for which Campion and Company represented the Seller and/or Buyer. 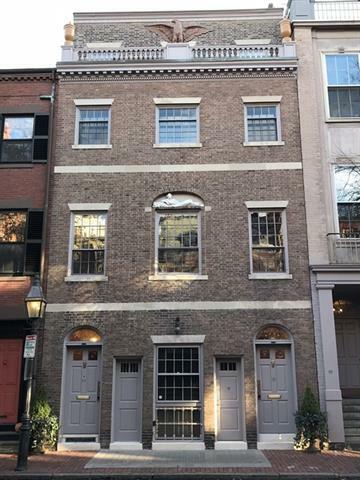 Built in 1898 and extensively remodeled in 1926 on one of The Flat of Beacon Hill’s most desirable streets, 90 Chestnut Street is a 5-story townhouse of true historic distinction. The Federal Revival style home was built as the residence of Henry Davis sleeper, America’s first interior designer. 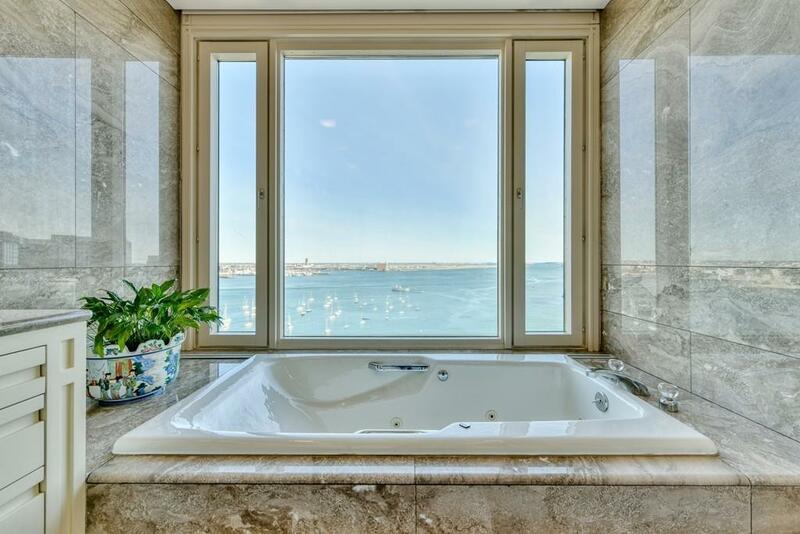 This fashionable purveyor of taste has garnered much fame for homes he did for clients, such as Joan Crawford, Douglas Fairbanks and the Vanderbilts, but also for one of his own homes, Beauport, the Gloucester Harbor mansion that is now a national historic landmark. 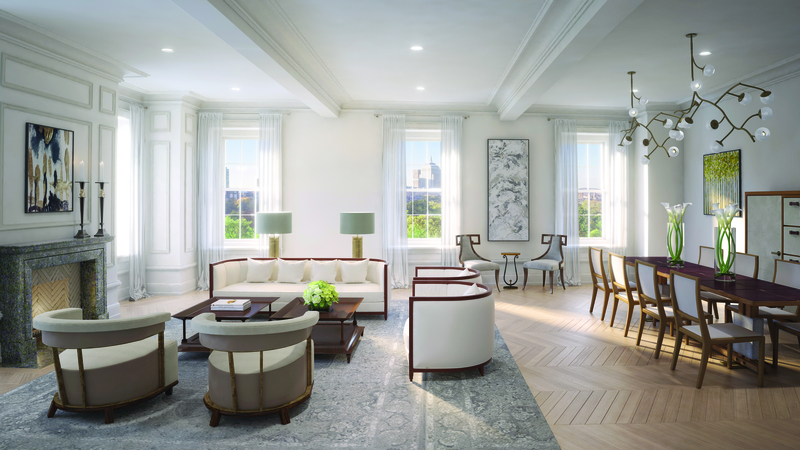 To this day, and in thanks to subsequent owners who have faithfully renovated, restored and maintained the magnificent property, 90 Chestnut remains full of decorative flourishes chosen specifically by the nationally noted antiquarian, collector, and interior decorator. The entire 6,576 square foot house is a historic treasure, yet remains timeless in its ability to cater to modern lifestyles. The gracious floor plan splendidly incorporates formal and informal living and entertaining areas and offers 5 sun-filled bedrooms and 5 1/2 bathrooms, all enhanced by a private elevator and spacious roof deck. Cleverly built-in storage and displays fill every nook and cranny of the home so that every inch serves an aesthetic and functional purpose. The floor plan also brings with it wonderful flexibility to be used as a single residence or two separate units—one a first and garden floor duplex, the other a 2nd, 3rd and 4th floor elevator triplex. One step in the door and it is apparent that this Flat of the Hill home was constructed and finished in the finest manner. 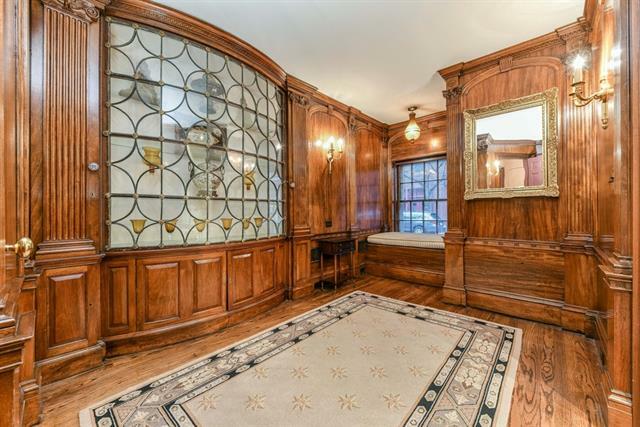 A gorgeous mahogany paneled reception room with a leaded glass curios cabinet offers a glorious first impression as to what the rest of the home has to offer. Take the elevator or climb the stairs to the living room floor and you step right into the heart of the home that is absolute elegance. 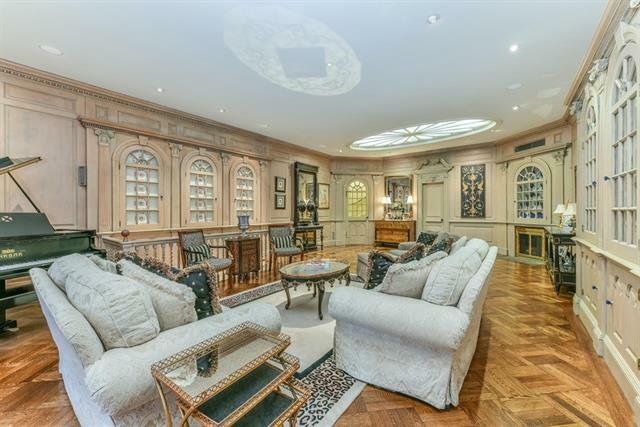 This approximately 21’ by 39’ entertaining space is paneled floor-to-ceiling and features finely detailed carved pilasters and classical door casings. 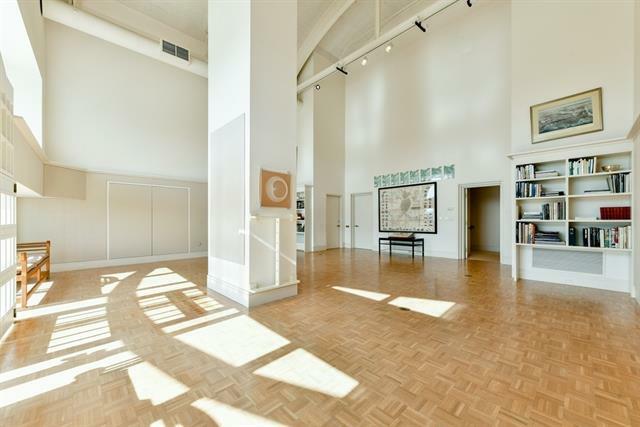 Built-ins abound, including bookcases, collectibles vitrines and a complete wet bar. A carefully lit oval skylight and corner fireplace finish this fine, perfectly symmetrical room. Just beyond this living room is a home office or media suite complete with a bay-windowed seating area facing the hidden gardens of Beacon Hill. This space has its own half bath and a variegated marble fireplace depicting an Aesop’s Fable, the Wolf and the Crane, in carved relief, a fine example of how the home’s design evokes literary, as well as, historical themes. Up one flight of the curving staircase is the spacious family room and kitchen. The family room is a large, 20' by 21' space with additional skylights, a grand mantelpiece and graceful Adam-style detailing. The kitchen is accessed through a wonderful original butler’s pantry with zinc-lined sink, unique backlit windowed display case and a warm, hearth tile floor that continues into the kitchen. 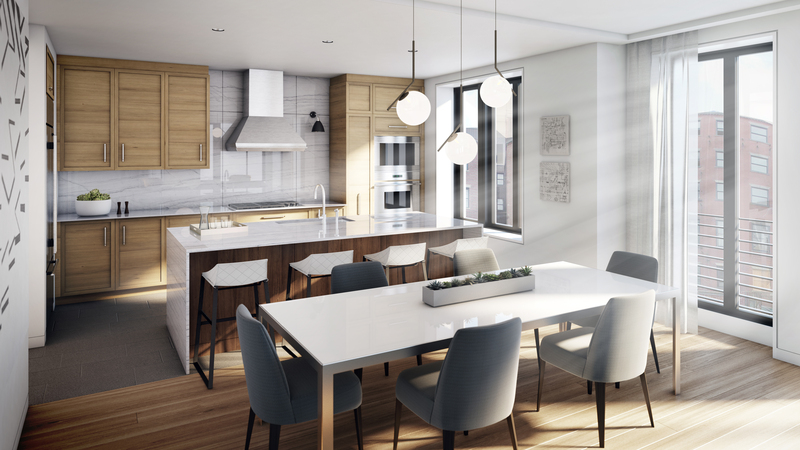 The eat-in kitchen features a beamed ceiling, antiqued pickled pine cabinetry, triple windows facing Chestnut Street at treetop level and direct elevator access. On the opposite end of this floor is another suite consisting of a fireplaced bedroom, bay windowed dressing area facing the gardens and a full bath. On the fourth floor rests the master bedroom suite, which has a large mirrored bath with oversized Jacuzzi tub set beneath a skylight and exceptional closet storage offered by a large walk-in, additional closets and custom built-ins. 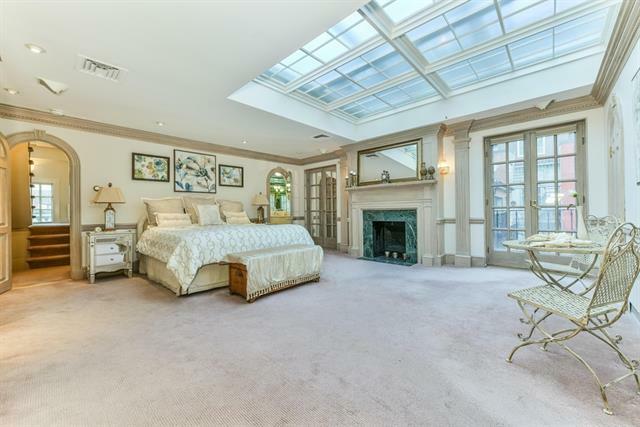 The huge master bedroom with beautifully detailed fireplace and Juliet balcony is set below an oversized skylight with electronically controlled shades. Another bedroom suite with full bath on this level is currently used as a sun-filled home gym. The home’s massive, private roof deck with wonderful city views is one level above and is easily accessible via a full, sky-lit staircase. It has been newly renovated by the current owners and is equipped with water, gas and electric. The duplex suite on the first and garden levels is also enchanting, featuring an octagonal shaped entry foyer leading into a large living room. Currently in use as a formal dining room, it boasts beautiful garden-facing windows and countless architectural flourishes. Adjoining this space is a bedroom suite that Henry Davis sleeper used for his own quarters. Downstairs is a large oval-shaped room detailed in a High Victorian Gothic style, off of which is a comfortable glass-ceilinged conservatory and bedroom with a full bath. The kitchen on this lower level includes a breakfast room set beneath glass block skylights to Chestnut Street that were completely and painstakingly restored to their original design. 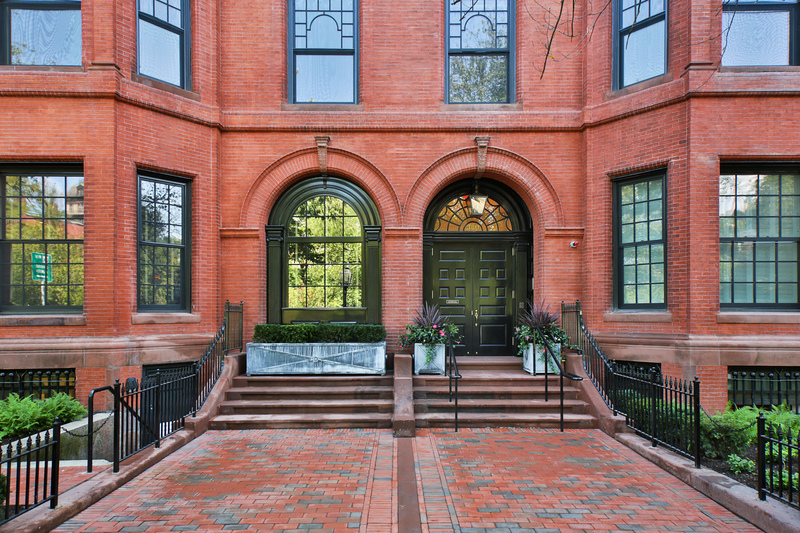 This one-of-a-kind townhouse is complete with a parking space at the Brimmer street Garage. What will be the tallest buildings on Boston's skyline by 2020? Four of the top five are currently existing. At 790 feet, 200 Clarendon Street (formerly known as the John Hancock) has been Boston's tallest building since its completion in 1976. The Henry-Cobb designed office tower will soon be joined in the top three by another work by the architect in collaboration with Cambridge Seven Associates: Four Seasons Private Residences One Dalton Street, Boston. * One Dalton will rise 742 feet at its highest point, becoming the tallest residential building not just in Boston, but in all of New England. Currently under construction, One Dalton has already become visible on the Boston skyline. Curbed reports more on Boston's existing tallest buildings and the city's developing skyline here. 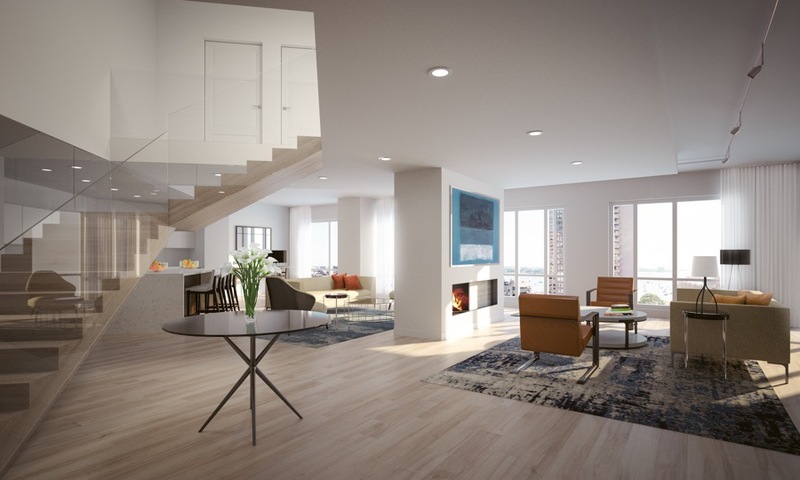 *Campion and Company is exclusively representing the sales of the white-glove residences at One Dalton. 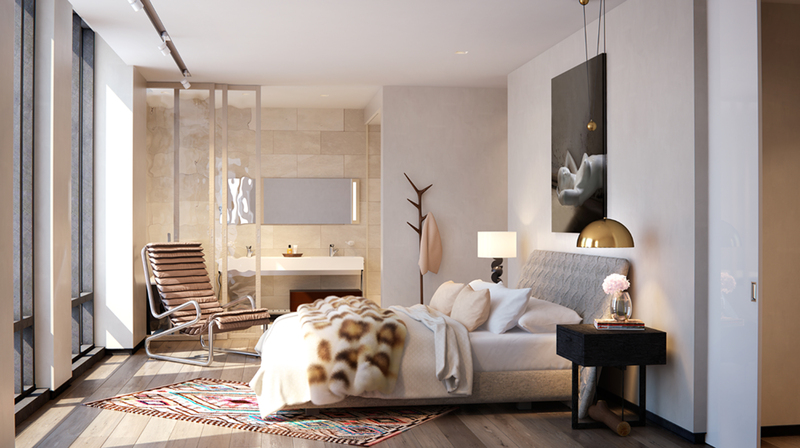 10 Farnsworth is Boston’s newest boutique luxury development in the Seaport District's Fort Point Neighborhood. Nine exceptional residences enjoy direct elevator access, an on-site garage with automated parking system and a combination of shared and private roof gardens. Boulevard on the Greenway offers residents the opportunity to live directly on Boston’s most sought-after location, the Rose Kennedy Greenway, in a stunning architectural statement with garage parking and resident amenities. Campion and Company is Boston's Leading Luxury Sales Office, and the Exclusive Listing Agent for numerous developers throughout the City. Contact us to learn more about our new development offerings.